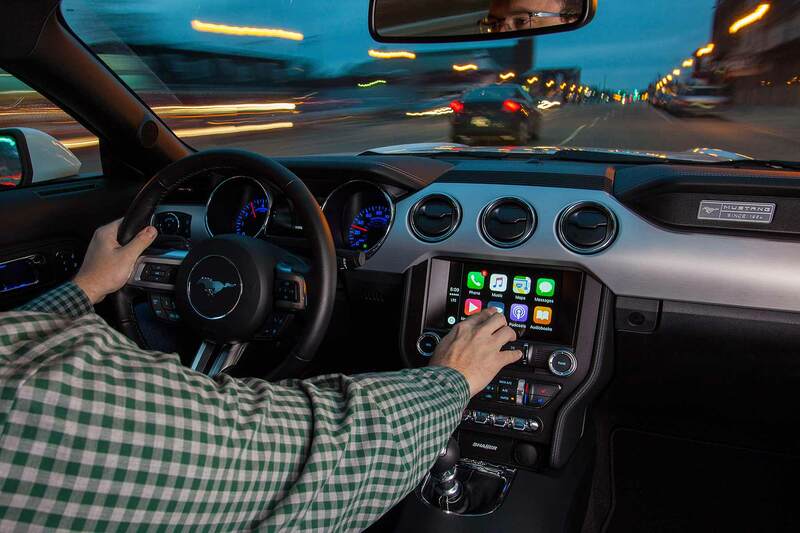 Ford has finally installed Apple CarPlay and Android Auto into the latest version of its in-car infotainment system, Sync 3. It’s a big deal. Ford says there are over 15 million Sync-equipped cars on the road. By 2020, there will be a staggering 43 million. The long-awaited announcement at CES 2016 thus at last will allow Ford drivers to control their Apple and Android smartphone apps through the colour Sync touchscreen. It means smartphone maps, messages, music and phone can all be controlled via the car – and it should also offer in-car access to additional apps such as Spotify. 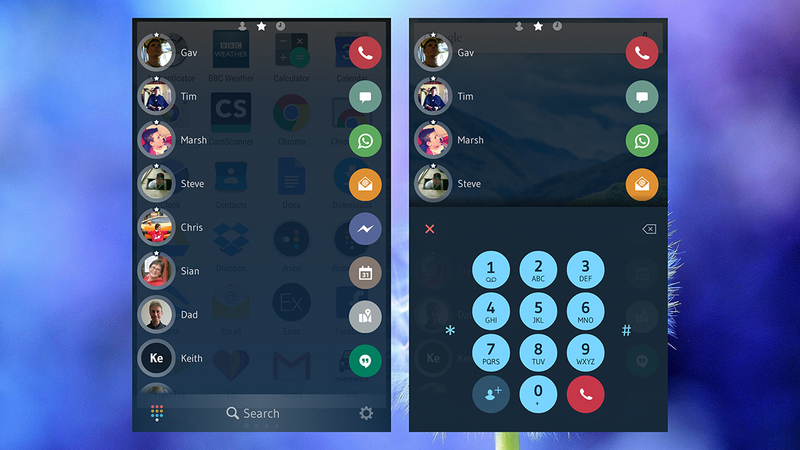 The interface mirrors the smartphone’s too. Rolling out this year on 2017 cars, for now it’s only on the latest Sync 3 system currently on sale in the United States: Europe still uses the older, fiddlier Sync 2 system. Ford’s also launching a suite of apps for Sync 3, via a new Sync AppLink system. In the US, this links to apps such as Eventseeker, which hunts down events that fit a user’s preassigned profile as they drive. 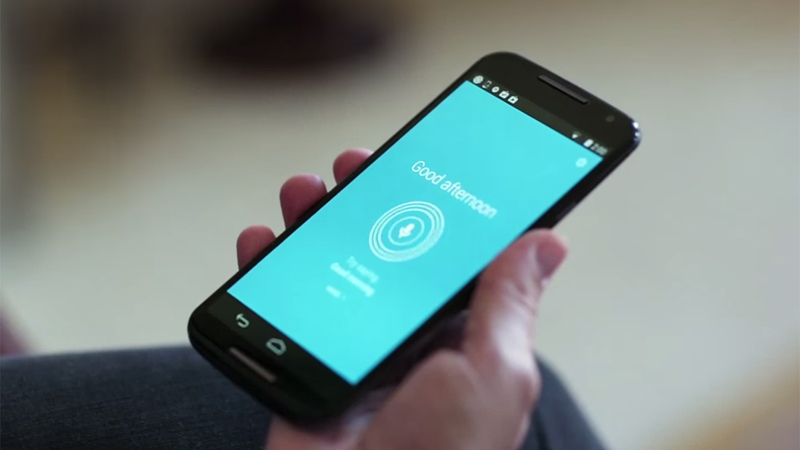 Another app tracks fuel prices and plans a route to the cheapest. 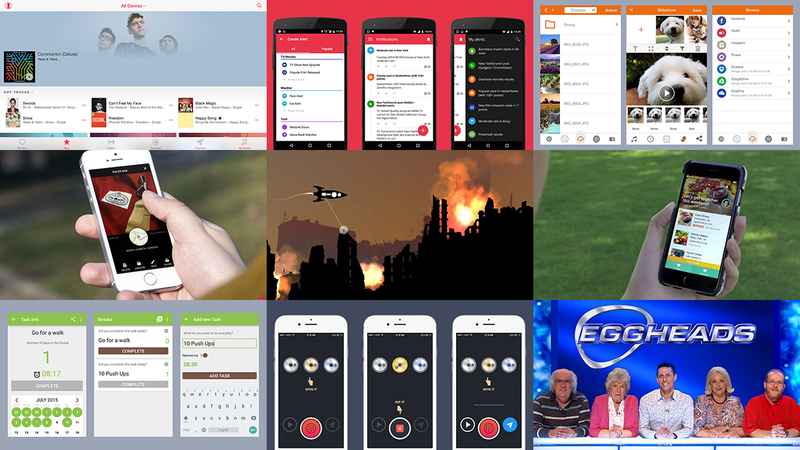 Similarly smart apps are expected for European owners when the system is launched. Ford’s proud of the Sync system, which it launched in 2007 as “the industry’s first system to widely and most affordably offer voice-activated technology to control smartphones”. It’s grown and been honed a lot since then. 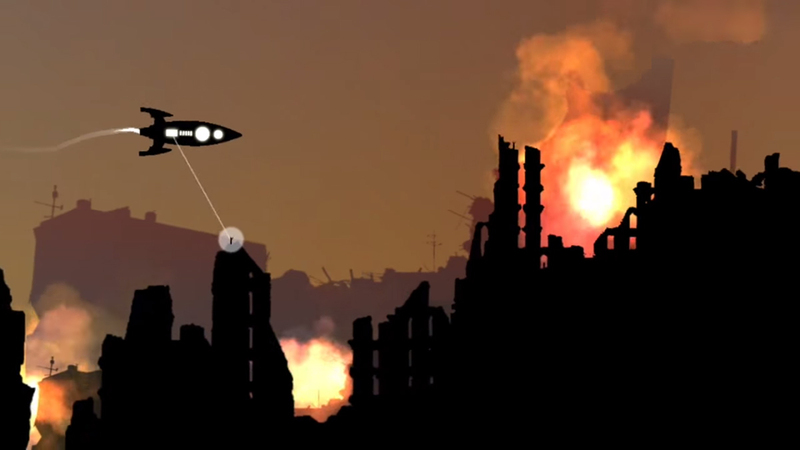 And at last, now more fully links with the world’s two most widely used smartphone platforms. 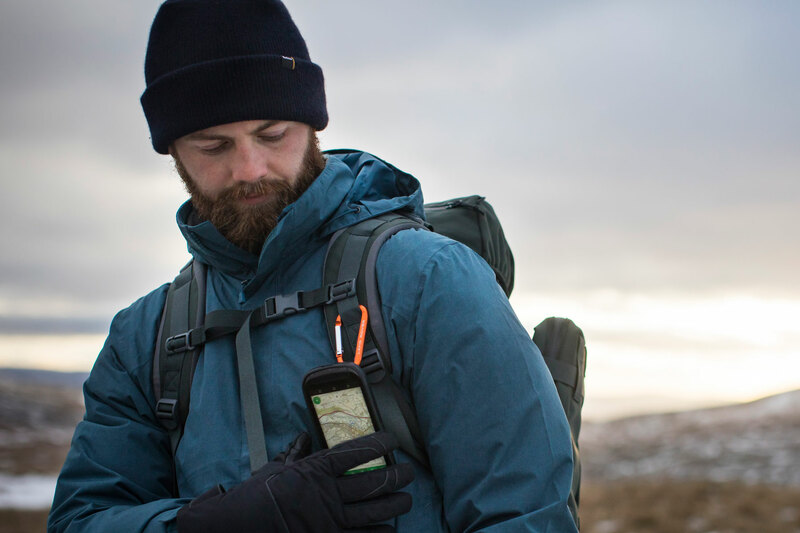 The mobile phone is a relatively recent invention, but it’s very difficult to imagine life without it now. These portable computers are with us around the clock, taking care of schedules, photos, news, social networking, entertainment, security, payments and much more besides. 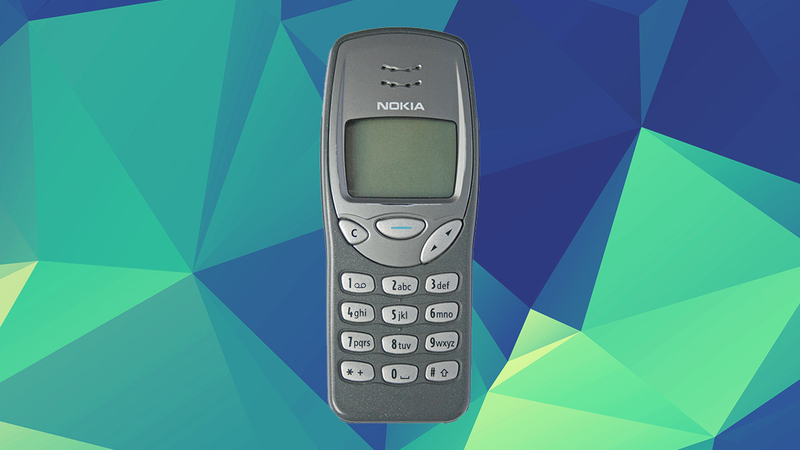 Here we look at the most important mobile phones in history. It looks plain by today’s standards, but the Nokia 3210 was the start of a real hot streak for Nokia and the culmination of three years’ work on Web-enabled handsets. It got the combination of form, features and price just right and it was the first mass-market handset that didn’t have an external antenna ruining its aesthetics. It was pretty much the iPhone of its day… at least until the 3310 came along. 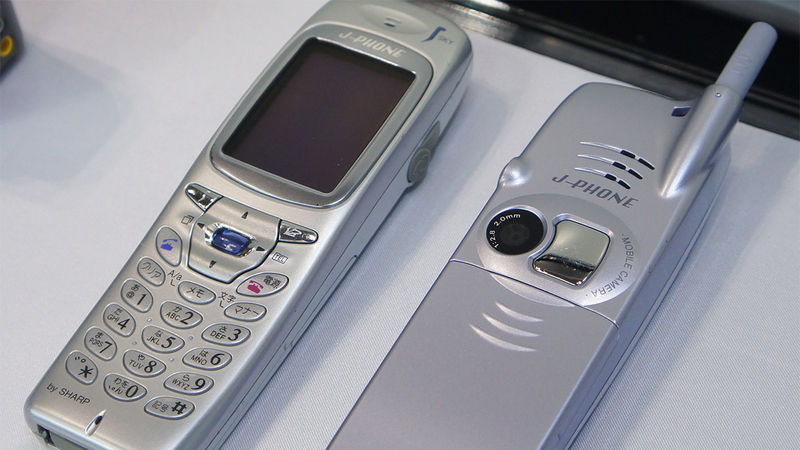 There’s some debate about which was the very first phone to have an integrated camera: most tech historians seem to agree it was the Samsung SCH-V200 released in South Korea early in 2000, but we know more about the Sharp J-SH04 pictured here (on sale in Japan in November of that year). Whatever the exact timing, these two handsets introduced a phone feature that we wouldn’t dream of trying to live without nowadays. The 3210 was good, but the 3310 was perhaps even better — as the 20th century turned into the 21st century, Nokia pulled off a one-two double-hit that made it the undisputed king of the mobile phone market. 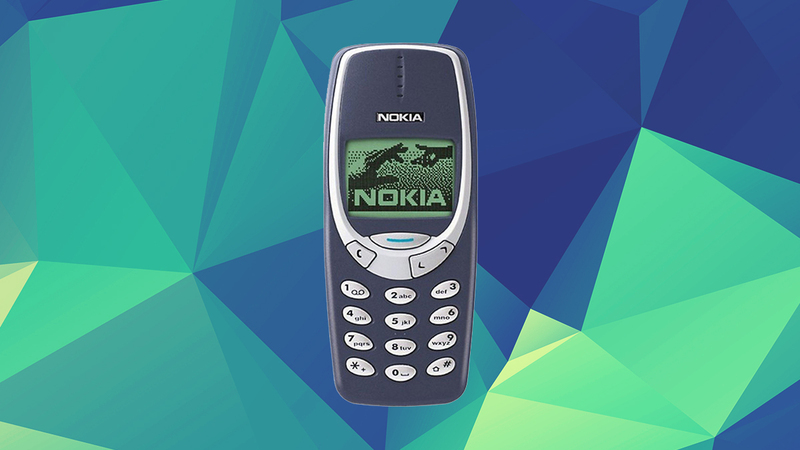 The 3310 was smaller and lighter than its predecessor, though it kept all of the key features (including Snake) and most of the design of the earlier model. It eventually sold more than 126 million units — a huge achievement for the time. 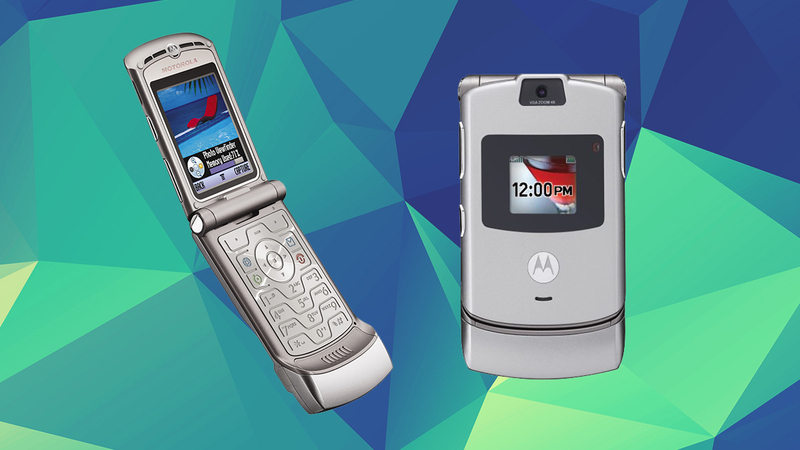 The Razr V3 will have a special place the hearts of many people of a certain age. While it didn’t have any standout features that were particularly innovative or unique, it combined form and function in a way that felt like the future. Motorola went on to sell some 50 million Razr V3s in the two years after its launch, making it the most popular clamshell phone ever made, and it influenced a host of imitators. It’s hard to overstate the original iPhone’s significance: it introduced concepts like the touchscreen and the app store before anyone else was taking them seriously (though the first model famously didn’t have support for third-party apps). At first glance it seemed like a crazy departure from the smartphones that had gone before it, but the hardware and software template set down by the iPhone have defined the years since in terms of smartphones and tablets. 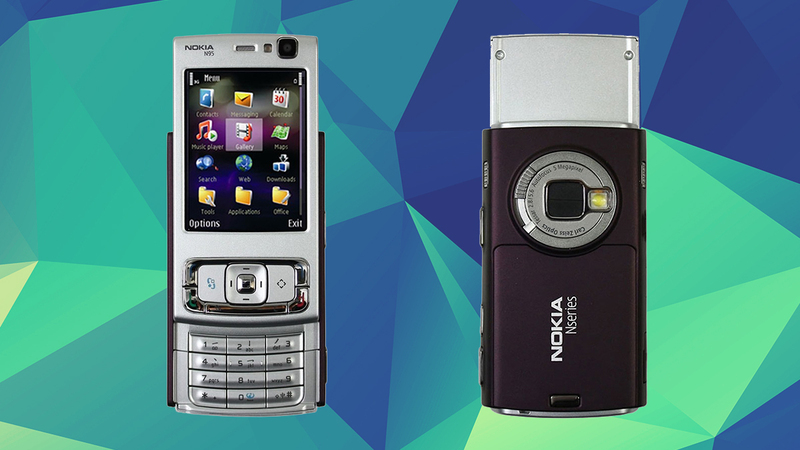 It came out the same year as the iPhone, and it didn’t have a touchscreen, but we shouldn’t forget the importance of the Nokia N95. With a decent camera, mapping capabilities and a large colour screen, it was one of the first handsets that showed just how powerful smartphones would eventually become — in fact in terms of raw specs and features (a 5-megapixel camera!) 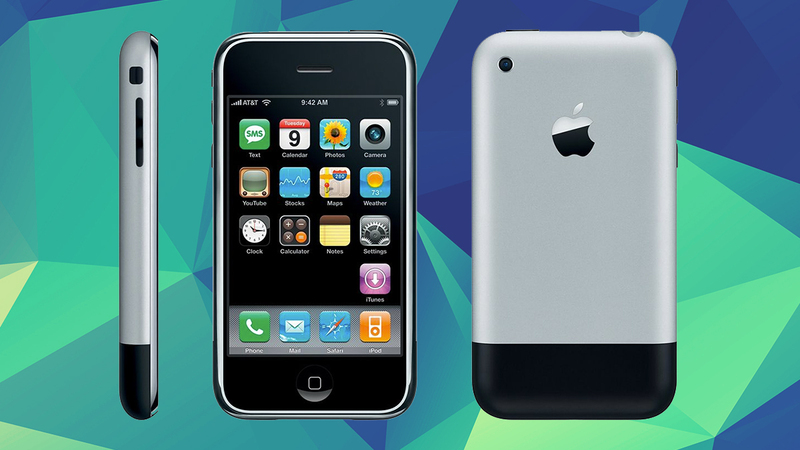 it was a notch above the first iPhone. 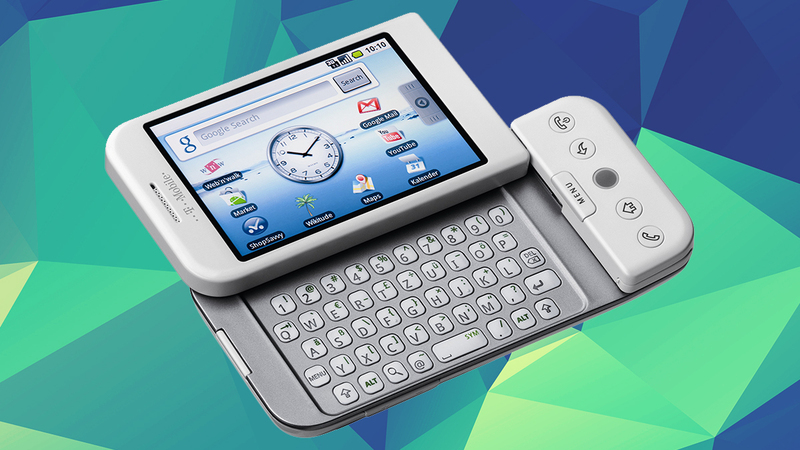 There was nothing particularly groundbreaking about the T-Mobile G1 with the exception of the software running on top of it: a fledgling mobile OS called Android, bought by Google in 2005. Nowadays it’s hard to imagine Google without its mobile apps and mobile OS, but this was a real departure for the company that made a search engine and Gmail. 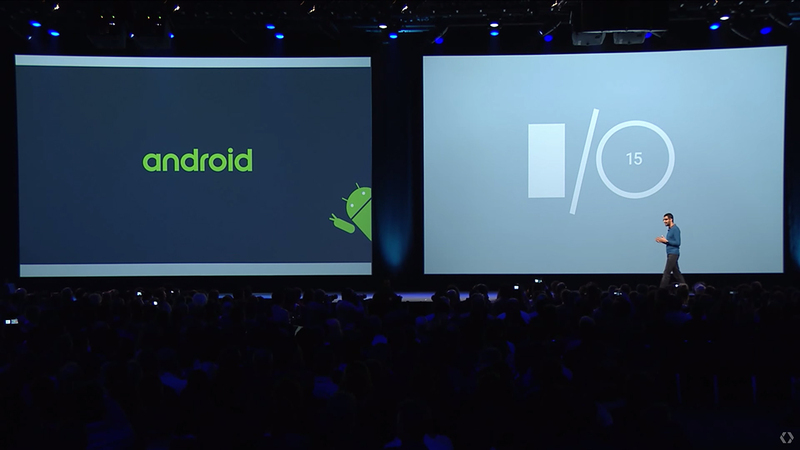 At this stage Android wasn’t much to write home about, but it definitely had potential. For a few years after the iPhone hit, BlackBerry continued to make high-quality smartphones that business users loved, and the Bold 9000 was one of the best that the Canadian company ever put out. 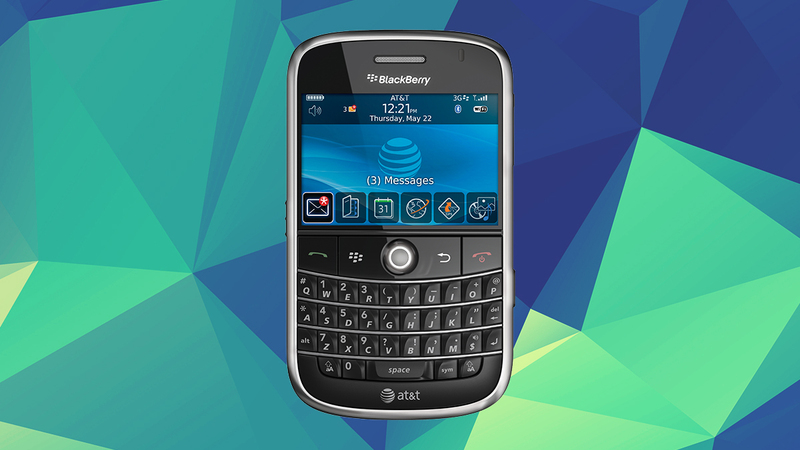 It’s classic BlackBerry, with the full QWERTY keyboard and that trackball in the centre of it. It was definitely an attempt to capture the imagination of the consumer market, but by this point it was already too little too late. Samsung gets a lot of flack for copying Apple, so let’s give the South Korean company credit where it’s due: Samsung realised we all wanted big phone screens long before anyone else did. The original Note’s 5.3-inch screen was gigantic for 2011, but now it seems par for the course (this year’s Galaxy S6 is just a little smaller at 5.1 inches). 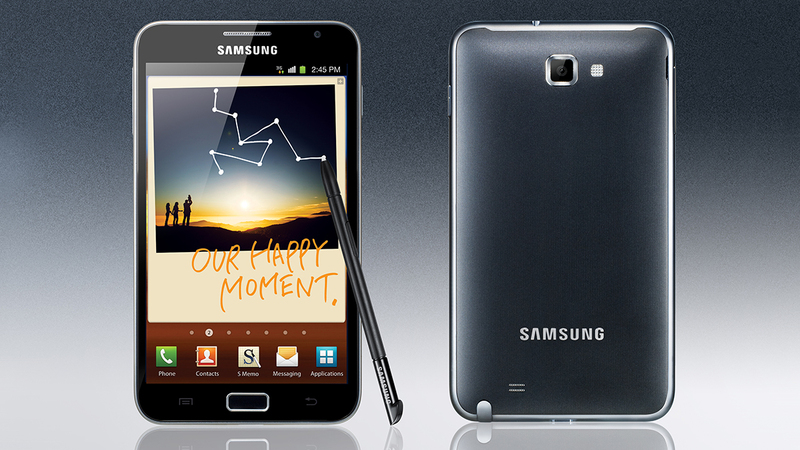 The super-sized Note series has been one of Samsung’s most reliable sellers. Google’s Nexus series is worth an entry in our list, but it wasn’t until the fifth device (manufactured by LG) that the handsets really made sense. 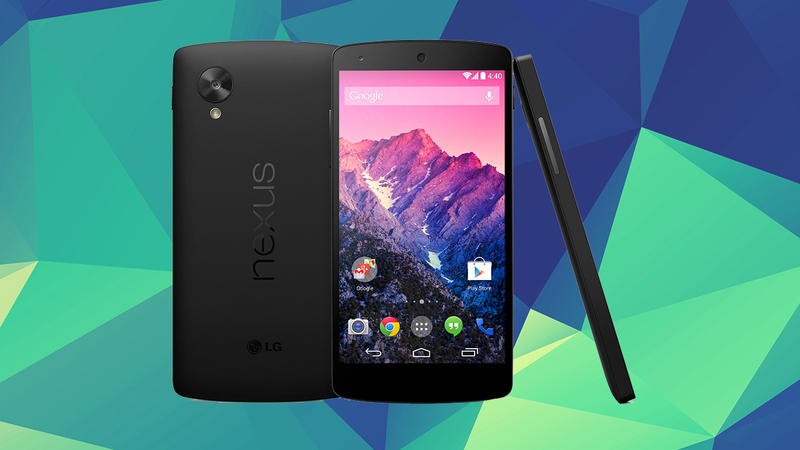 The Nexus 5 hit the sweet spot of specifications, price and features, and with Android 4.4 KitKat on board, people signed up to buy it in their droves. It remains the most well-loved phone in the Nexus series, though the new Nexus 5X (again from LG) might change that. All the iPhones that Apple has put out since 2007 have been influential in some way or another, but last year’s iPhone 6 Plus was more significant than most: it showed the Cupertino company admitting that there was demand for phones with larger screens. The 5.5-incher has been followed by another one this year, and it looks as though the larger iPhone is here to stay — even if it hurts sales of the iPad mini. We’re mentioning the new Lumia 950 XL from Microsoft not because of what it is but because of what it represents — Microsoft’s final roll of the dice as far as smartphones are concerned. 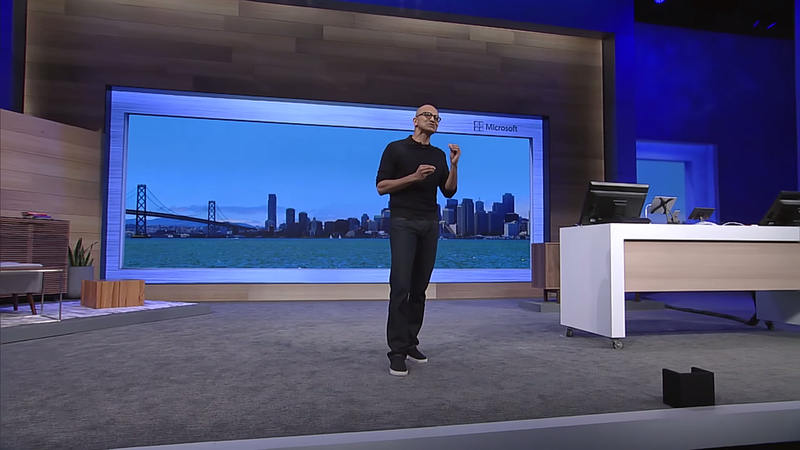 Can Windows 10 make its mark on mobile devices as well as desktops and laptops? 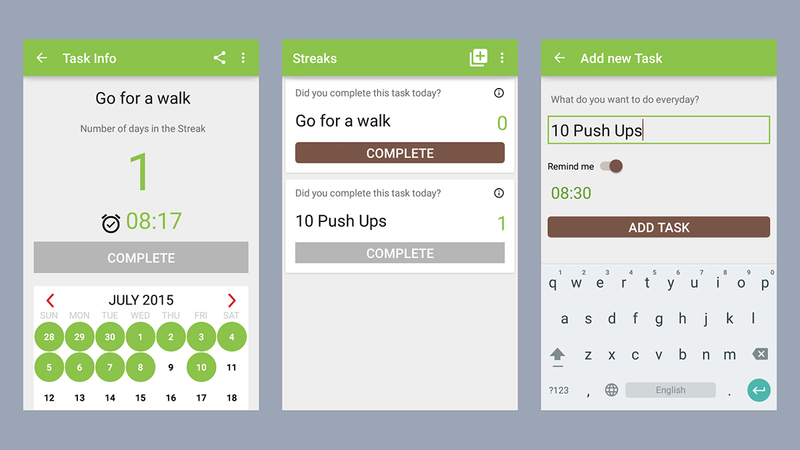 Can Microsoft break the dominance of iOS and Android? 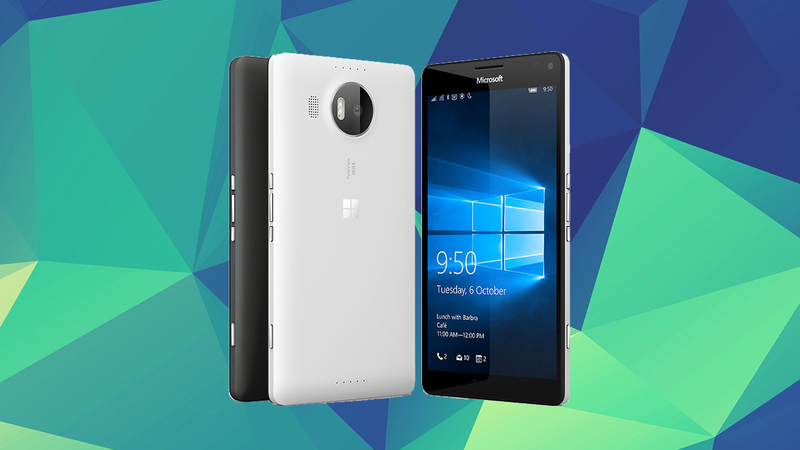 The flagship Lumia 950 XL handset should tell us one way or the other in the near future. 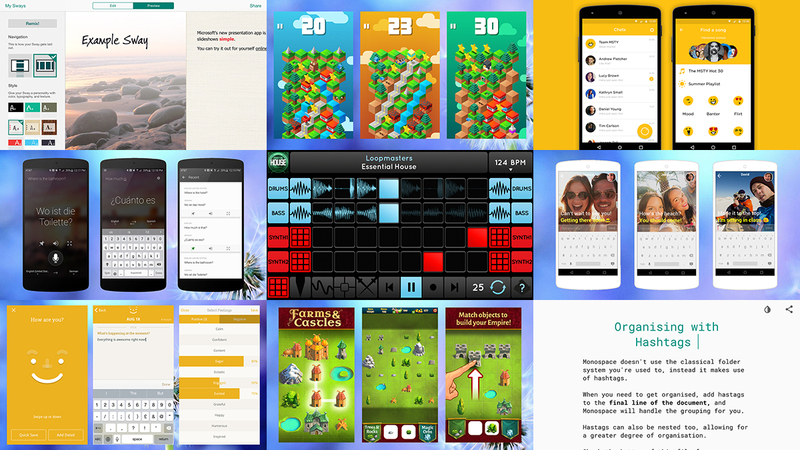 The ingenuity and skill of app developers across the world continues to amaze us, and once again they’ve been busy putting out new apps for the popular smartphone platforms this month. 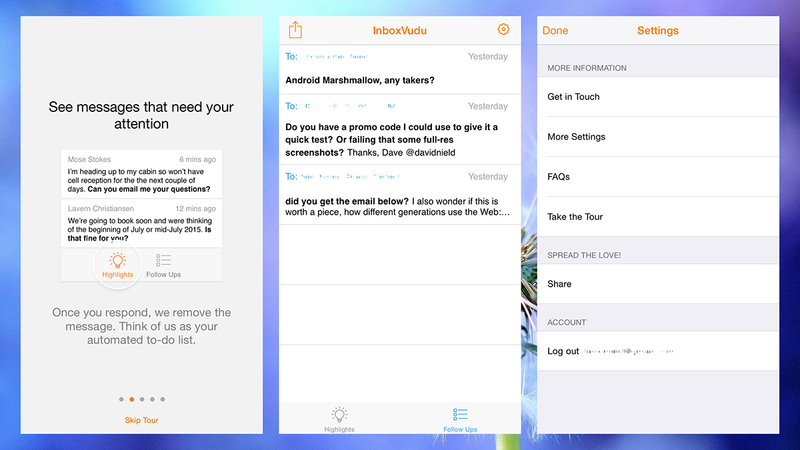 Moodnotes is a journal-style app that aims to improve how you feel by getting your thoughts down on (digital) paper and working through the feelings they bring up. The idea is that by identifying what influences your mood you can change your perspective and develop healthier thinking habits. 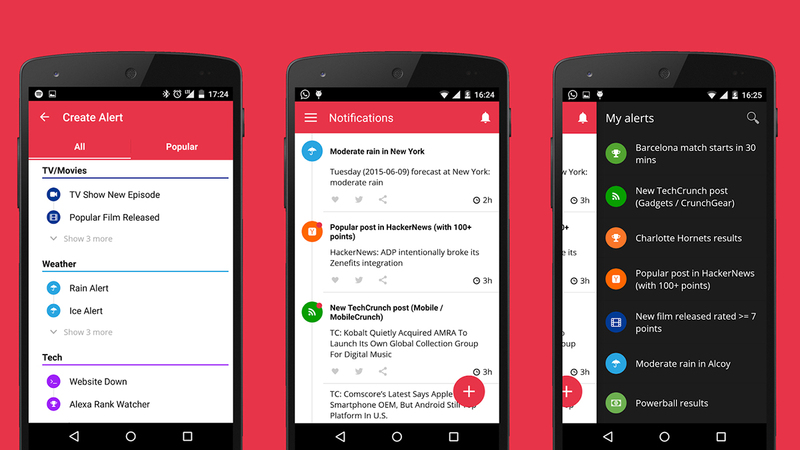 The latest in a long line of apps promising to help you get your inbox in order and prevent email from taking over your life — as long as you use Gmail. 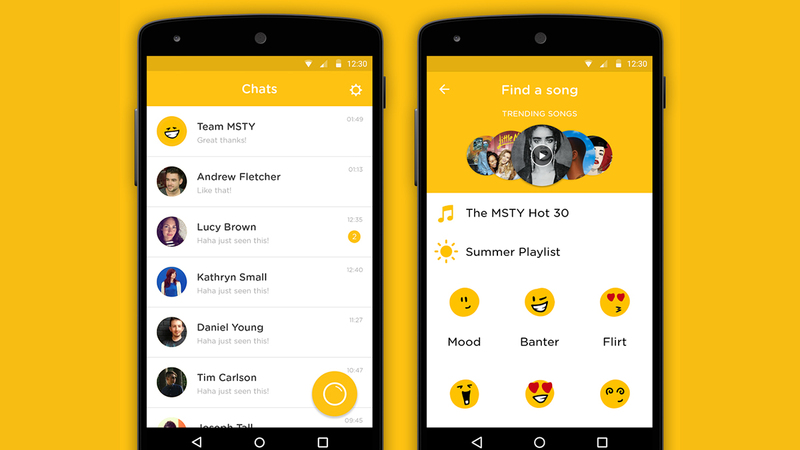 MSTY — which stands for My Song To You, in case you were wondering — is a new twist on the instant messenger and is based around music. Pick a song from the extensive catalogue, add an image, write your message and you can send the whole package to a contact of your choice. 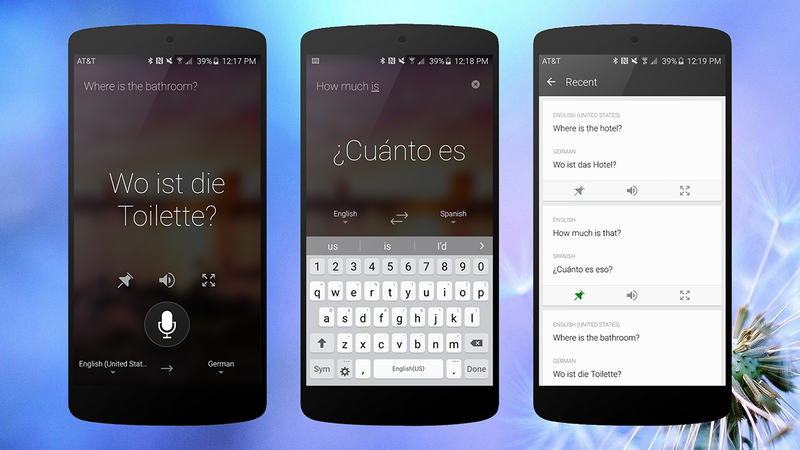 Google Translator isn’t the only app in town for getting your phrases from one lingo into another. 50 different languages are supported and because the app works with audio as well as text you can practice your pronunciation too. 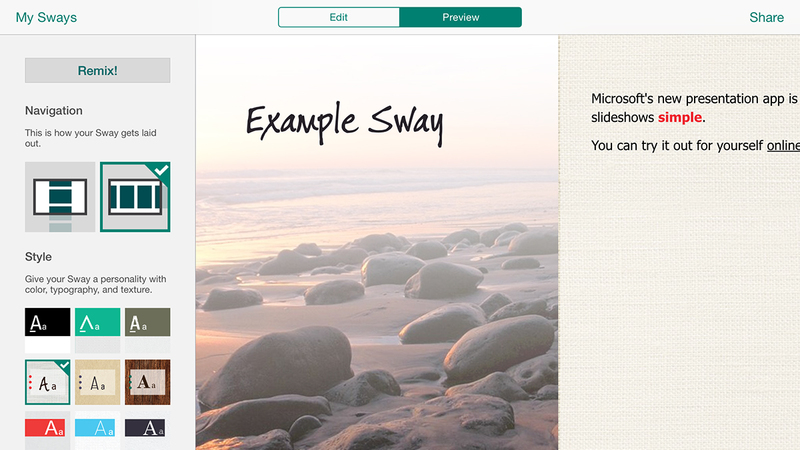 Sway is another app from Microsoft, this time one designed to help you pull together text, images, links and other elements in an appealing format that’s a breeze to swipe through — it’s pretty much PowerPoint for the mobile generation and it’s also available on the Web (though not on Android yet). 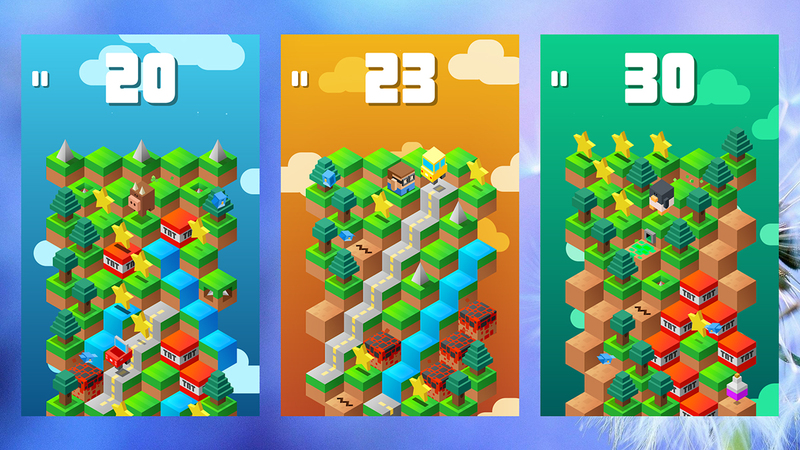 Out for a while now on iOS, Ninja Jamm makes the jump to Android devices this month and so earns a spot in our round-up. 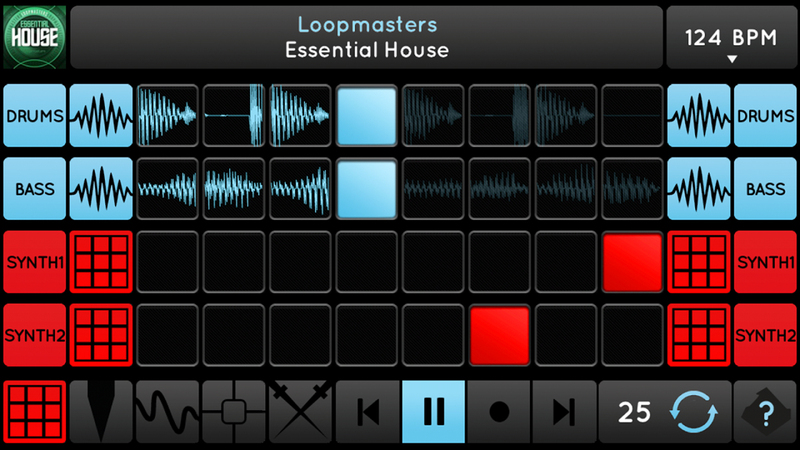 It’s a music-making workflow that manages to strike the right balance between accessibility and sophistication: anyone can dive right in and start creating, but there are more advanced tools here too if you need them. There’s an awful lot of news and gossip to keep up with on today’s Web, and working your way through it isn’t easy. 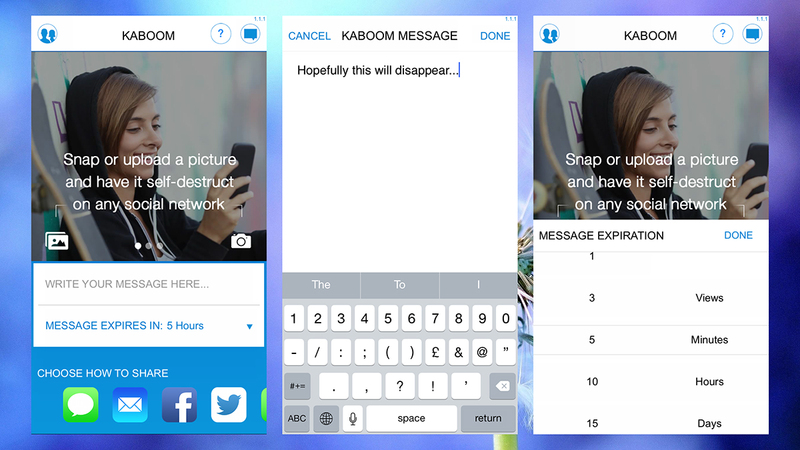 Kaboom takes the Snapchat idea of disappearing messages and applies it to your other social networks, such as Facebook and Twitter (it also works with email, SMS and WhatsApp). As mature as our smartphone platforms now are, developers are still trying to crack the challenge of bringing together contacts from various different services into one central hub. 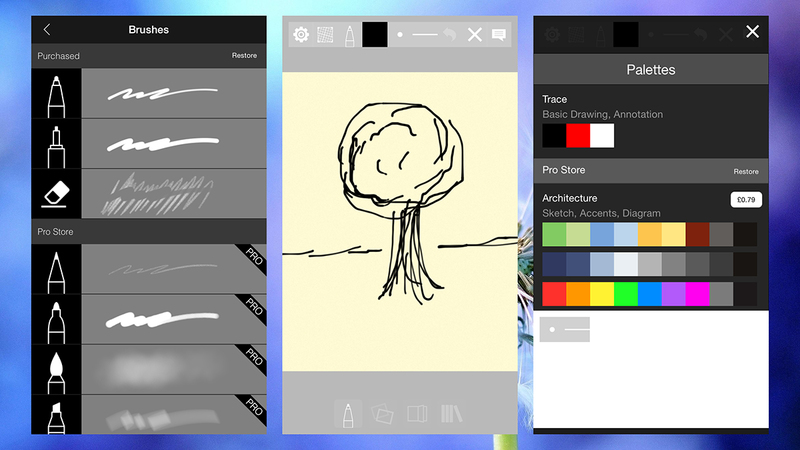 Morpholio Journal isn’t the first app we’ve seen to let you jot down your ideas and imaginings on a digital scrap of paper, but it’s certainly one of the best-looking and easiest to use. Who knows, you might find yourself coming up with an idea that makes you famous. 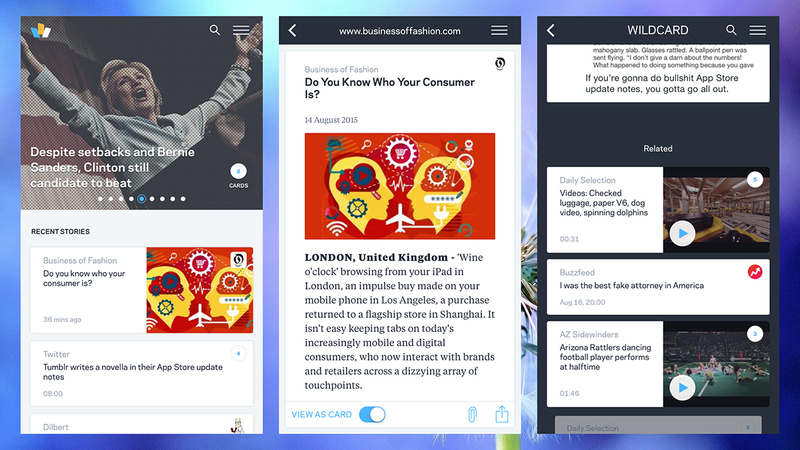 Yahoo was one of the original dot com companies but it’s struggling to stay relevant in the new mobile-first world. 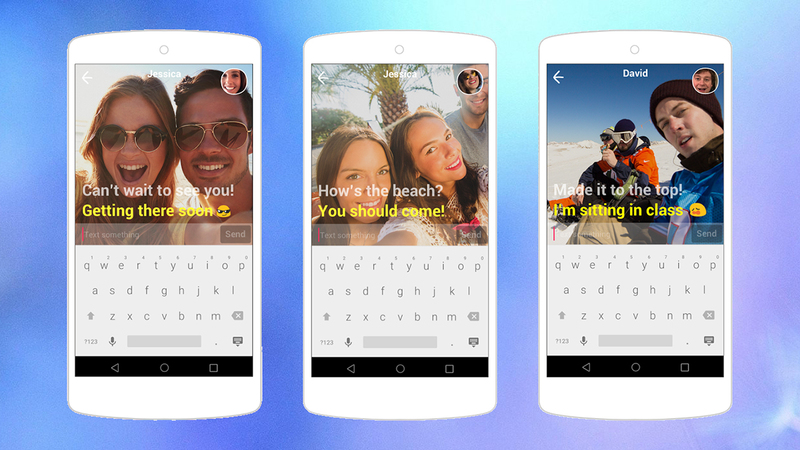 Livetext is its latest attempt to get traction with smartphone users: it’s a live video messaging service reminiscent of Snapchat or Periscope, but the twist is there’s no audio, so you can view your messages in the library. If you’re looking for a new game to while away those spare moments in the office canteen or on the train, you could do a lot worse than Down The Mountain. Our second game pick of the month is a far more sedate affair. 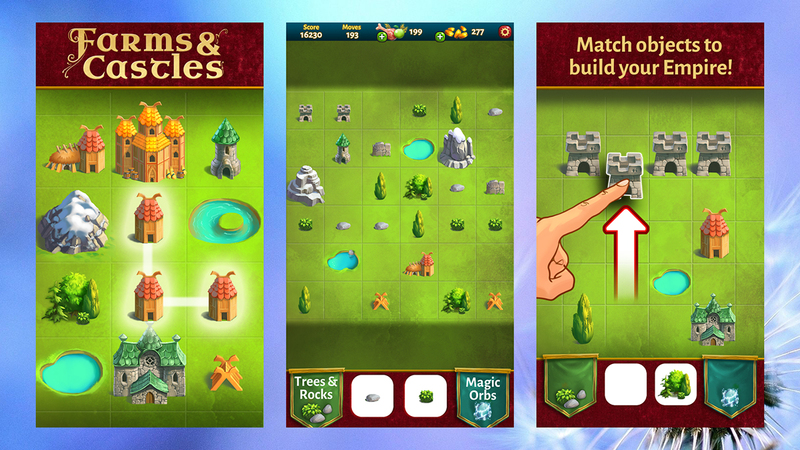 Farms & Castles uses a simple puzzle gameplay mechanic but it’s very addictive and you’ll find yourself constantly wanting to dip back into the game or spend just a few more minutes trying to build your empire. Lrn promises to help you “learn to code at your convenience” — it introduces you gently into the basics of coding for the web and for mobile devices. 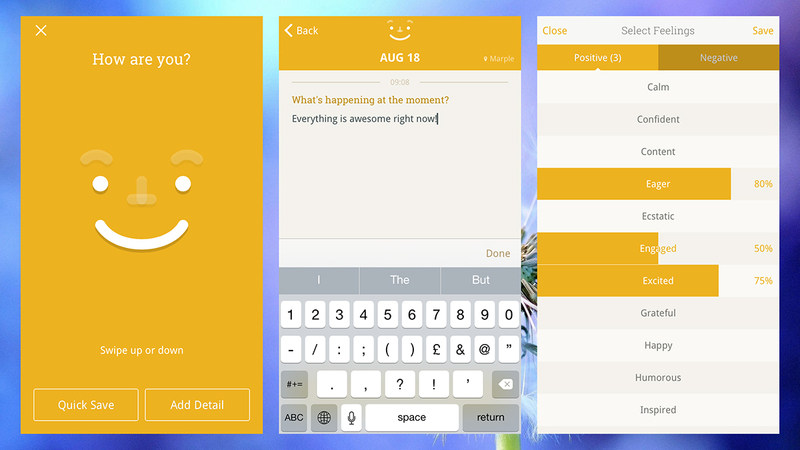 Get some clarity in your writing with the help of Monospace Writer, a pared-down, minimalistic word processor for Android with a beta label still attached. 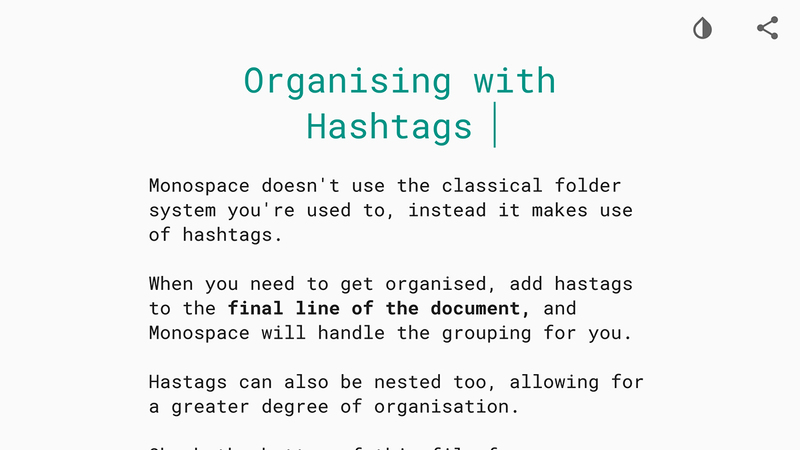 It supports basic text formatting, Dropbox syncing, Markdown exports and a simple tagging system to keep your notes organised. 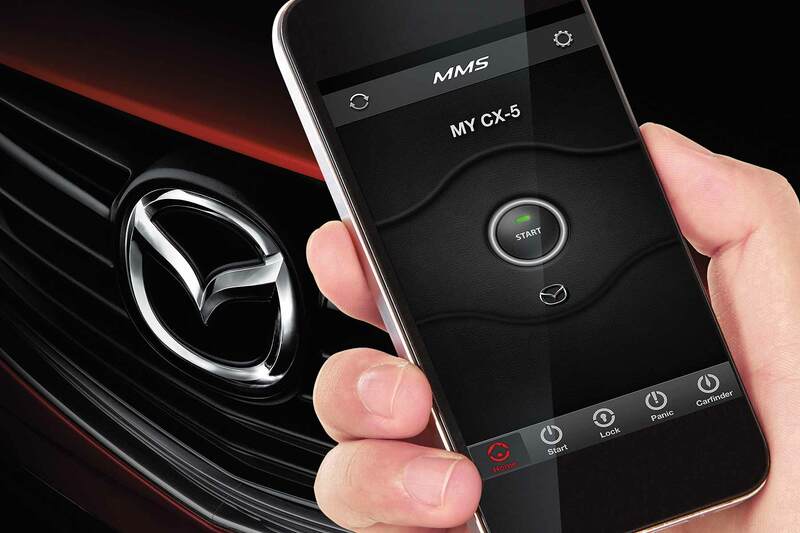 Mazda has launched an app in the U.S. that can start a car via a smartphone – and costs $500. 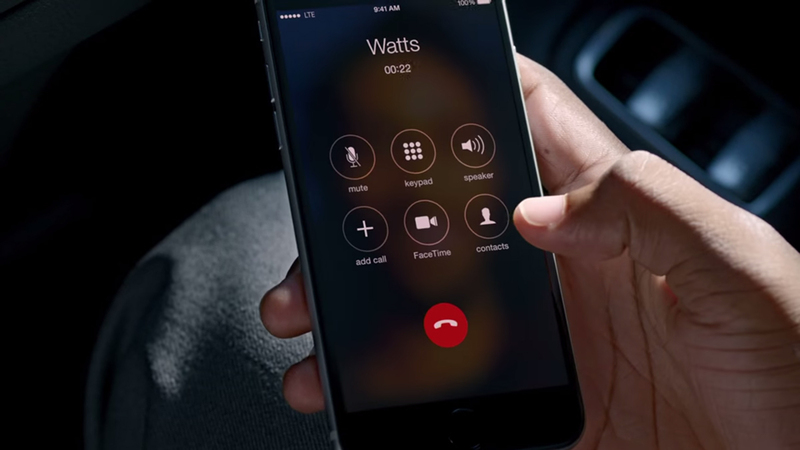 Available in the Apple iOS Store and and Google Play, the Mazda Mobile Start app is a bespoke smartphone remote engine start system that allows owners to remotely fire the engine for up to 30 minutes at a time. This will enable the cabin to be cooled or heated before the owner gets in. The app also includes door lock and panic alarm functions, plus a carfinder that cleverly uses both GPS and the smartphone’s camera to locate the car – particularly handy in massive North American mall car parks, reckons Mazda. Just two problems. Firstly, while it’s coming to other Mazdas later in the year, it’s currently only available with U.S. market Mazda6 and Mazda CX-5 (and even then, only on automatic CX-5). OK, that does include dealer installation of the onboard tech, plus a one-year subscription to the app (after that, it’s $65 a year), but still: can you think of a more expensive app? It’s a great time to be in the market for a new smartphone, especially if you’ve saved up quite a chunk of cash — all the flagship models from the major manufacturers have grown to be powerful, sleek and appealing, and you’re unlikely to be disappointed whichever one you choose. 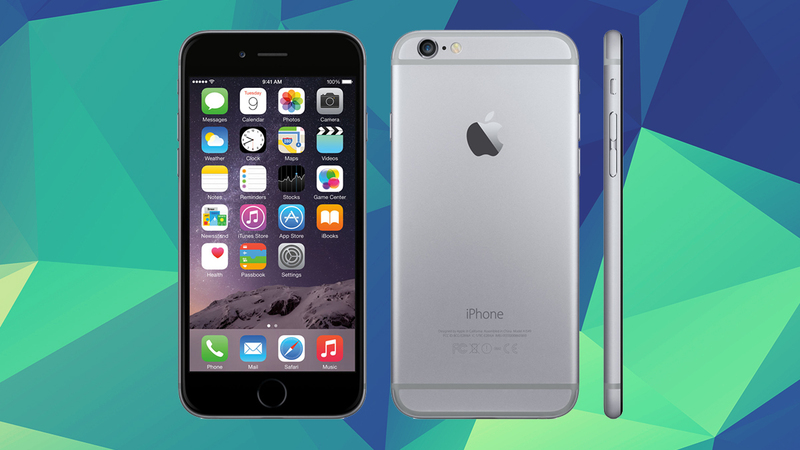 Let’s start with the 4.7-inch (750 x 1334 pixel) iPhone 6, the world’s most recognisable smartphone. Incredibly thin, perfectly designed and with a fantastic camera, it’s the mobile that other phones want to be — the only downside is it doesn’t play nicely with anything that isn’t made by Apple. 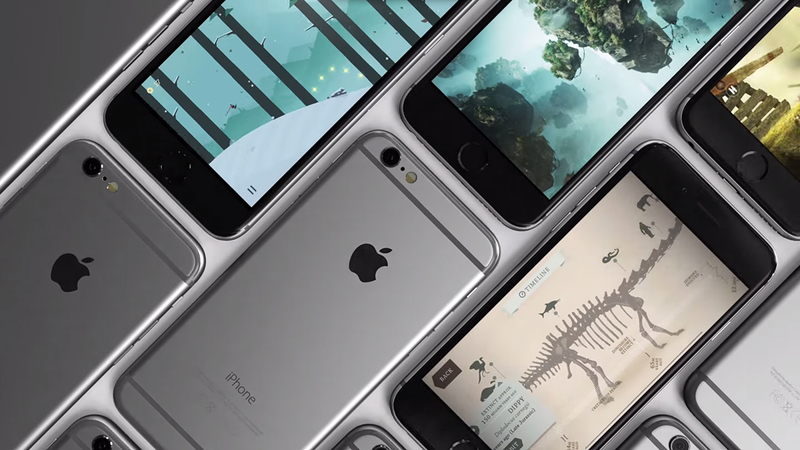 The upcoming iPhone 6s (or iPhone 7) is expected in September and should bring a boost in internal specs. The iPhone 6 Plus ups the screen size to 5.5 inches and the resolution to 1080 x 1920 pixels, so it’s less easy to hold in one hand but gives you more room on the display for your movies and Web browsing. 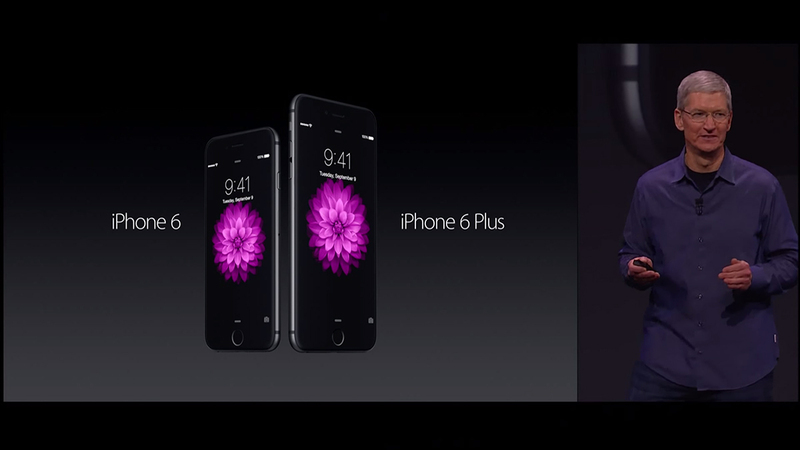 Other than that it’s almost identical to the iPhone 6, though it does add optical stabilisation to the camera. Again, you might want to wait until September before making a purchase, as a new round of iPhones is expected. 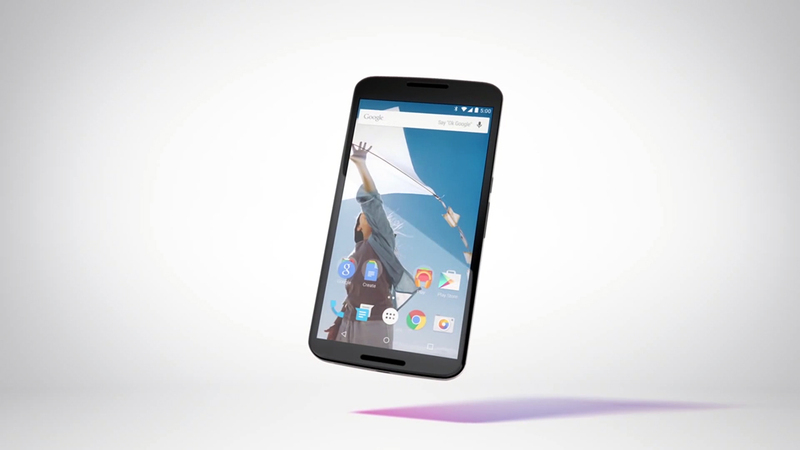 Google’s Nexus devices are designed to show off Android at its best, and the Nexus 6 is made in partnership with Motorola. That 5.96-inch screen is the main highlight, running at an incredible 1440 x 2560 pixel resolution, and there’s a speedy processor and a 13-megapixel camera in the mix as well. As with Apple’s devices, you can expect a new model sometime in the autumn, but this is still a great deal. The Galaxy S5 was a bit of a damp squib for Samsung so it’s come out all guns blazing with the S6: a redesigned chassis that’s sure to turn a few heads, a bright 5.1-inch display with a 1440 x 2560 pixel resolution, plenty of power under the hood and an excellent 16-megapixel camera too. It’s lost waterproofing and its removable battery along the way, but there’s no doubt the S6 is a step up from its predecessor. 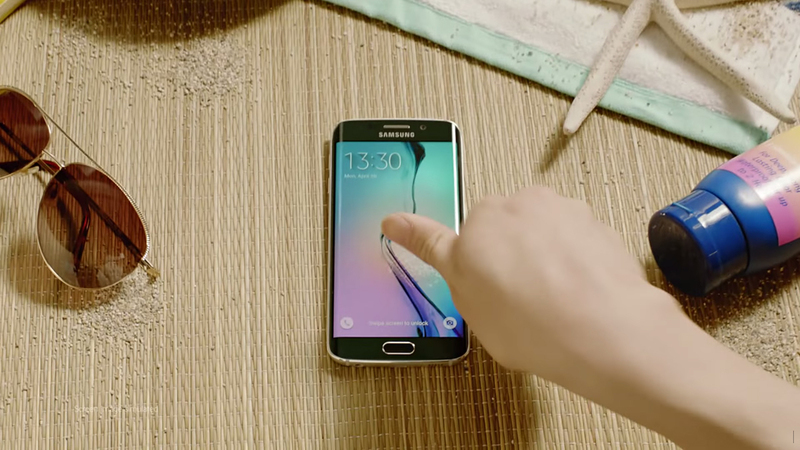 If you’re after something even more stylish (and even more expensive) for your next handset then there’s the Galaxy S6 Edge — both sides of the screen curve down for a unique finish, giving you more screen room for shortcuts and letting you see notifications even when the phone is face down. 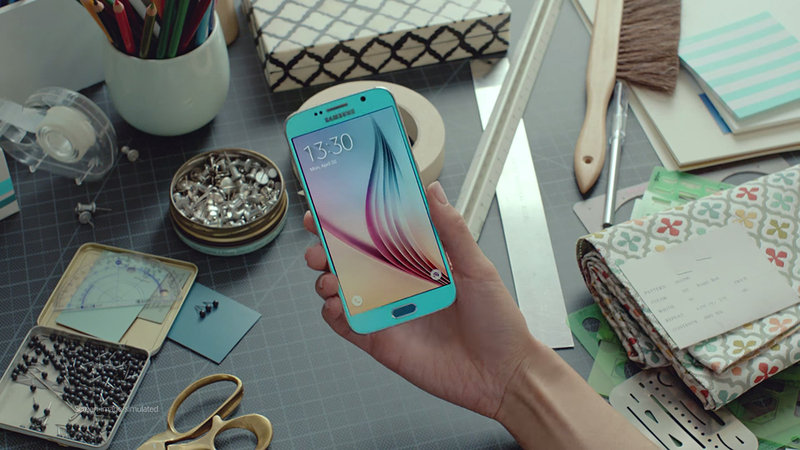 Otherwise it’s very much like the S6, though it does have a slightly bigger battery and is also slightly thicker. HTC’s 2015 flagship phone doesn’t look dramatically different from the One M8 it launched in 2014, but the specs have been given a boost, and it’s still one of the best handsets out there. For your money you get some very powerful innards, a 5-inch 1080 x 1920 pixel display and a whopping 20.7-megapixel camera. Perhaps most importantly, it’s one of the few Android smartphones that still has a distinctive look. 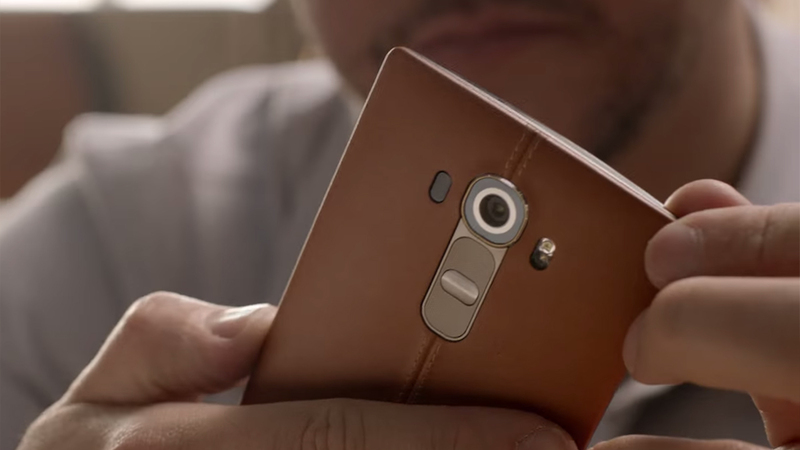 Perhaps the most distinctive aspect of LG’s latest flagship smartphone is the treated leather back you can get hold of instead of a plastic case. With a 5.5-inch, 1440 x 2560 pixel screen and some top-notch specs inside, the LG G4 can give any other Android phone a run for its money, and besides the leather it comes with a camera that works exceptionally well in low light and a quick snap button fixed to the back of the device. OnePlus caused quite a stir in 2014 when it released the OnePlus One: a powerful, sleek-looking device at a very attractive price. 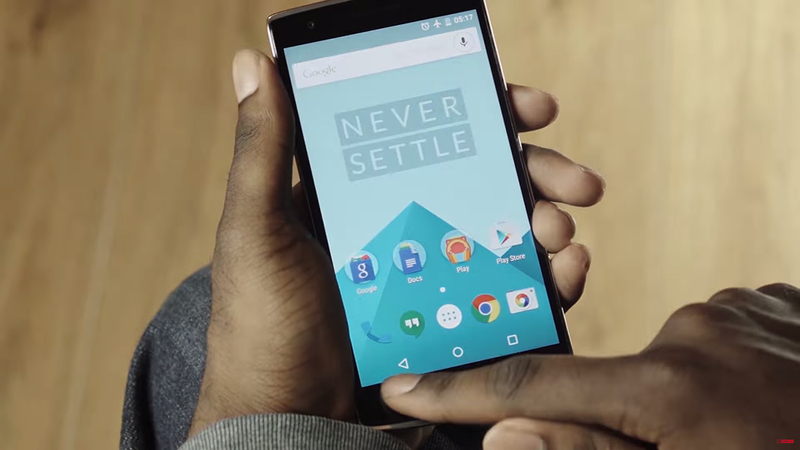 It’s still on sale at a discount and represents great value, but the OnePlus 2 is due to be announced at the end of July — can the Chinese firm repeat the trick? 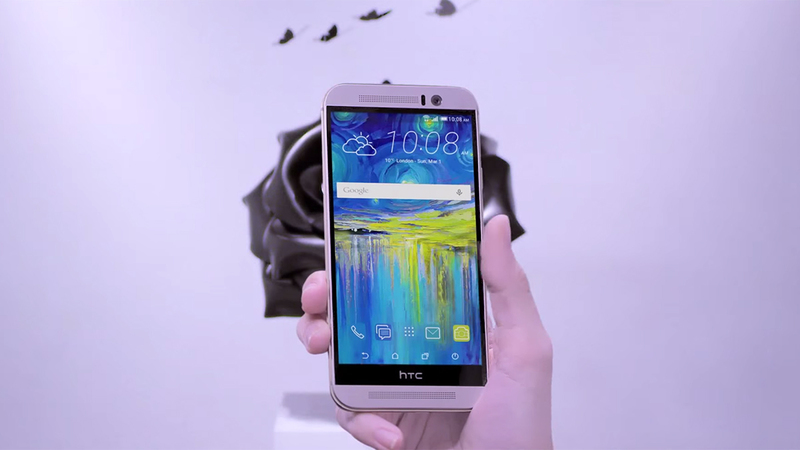 The 2015 edition is rumoured to feature more memory, a faster processor and a fingerprint sensor for added security. The Moto X was so good that Google decided to base its Nexus 6 on it: the 2014 edition (which followed its debut in 2013) brought with it a 5.2-inch screen running at a resolution of 1080 x 1920 pixels, and alongside its impressive specs it offered the option for users to customise the cases and colours of their handset. 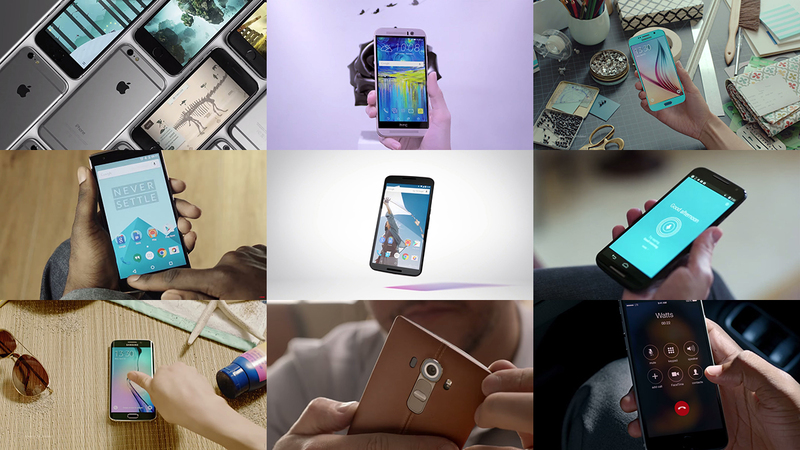 The 2015 version of the Moto X — which is slated for September — should raise the bar further. orce Touch (from the Apple Watch) should be included, and the usual processor and memory bumps should be expected; there are also some rumours of a brand new dual-lens camera. Android manufacturers are all on different release schedules, and the only new handsets likely before 2015 is out are a new Sony Xperia model, a new pair of Motorola phones (the X and G), a new Nexus 6 (possibly made by Huawei) and a new Nexus 5 (possibly made by LG). For new flagship handsets manufactured by Samsung, HTC and LG, you’re probably going to have to wait until next March. 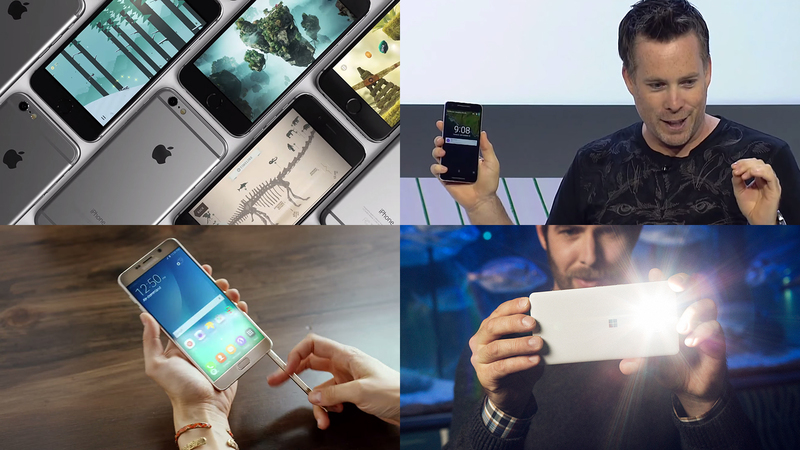 We haven’t mentioned Microsoft much yet, because the firm’s Lumia phone division has had a quiet 2015 so far. However, with the launch of Windows 10 just around the corner, we’re expecting two new flagship phones (dubbed the 940 and 940XL) to appear before the year is out — with the right combination of hardware and Windows 10 Mobile, Microsoft might at last be able to make a dent in the smartphone market. Once you’ve got all the big apps installed — Facebook, Twitter, Dropbox, Outlook — you might think you can sit back and take it easy as far as app discovery goes. That would be a mistake though, as there are dozens of interesting new apps released every week on the respective app stores. Here are our picks over the last month.